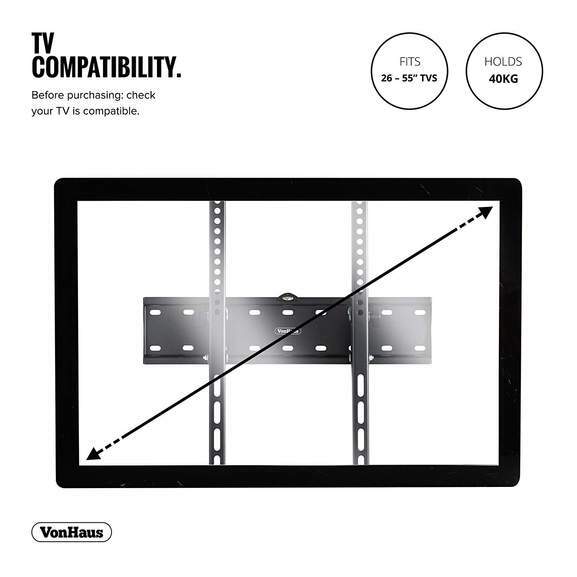 VESA Compatibility: 200x200; 400x200; 300x300 and 400x400 - for 26-55" TVs. 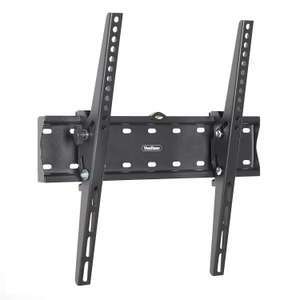 preSlim 53mm from the wall, with a Heavy Duty 40kg Load Capacity and built-in Spirit Level. 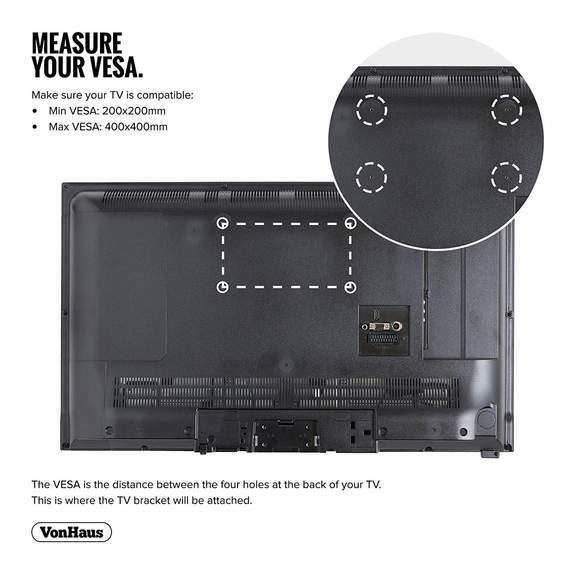 Please confirm your TV's VESA Mounting Dimensions and Screen Size before purchasing. 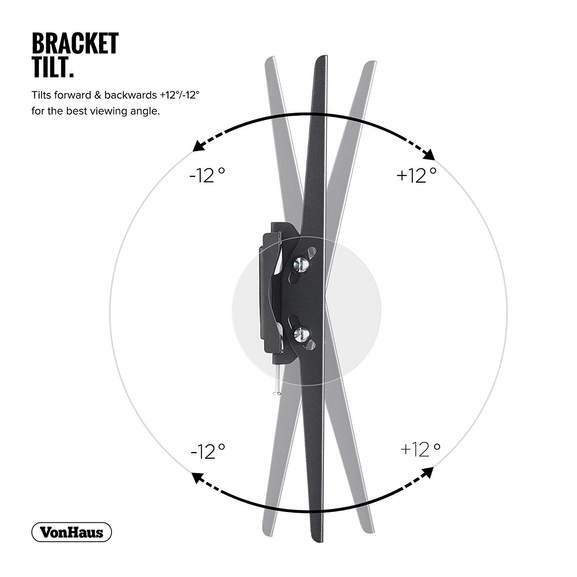 I can also vouch for this having just bought one the other day. Great quality for the price. Even comes with a built in level meter! 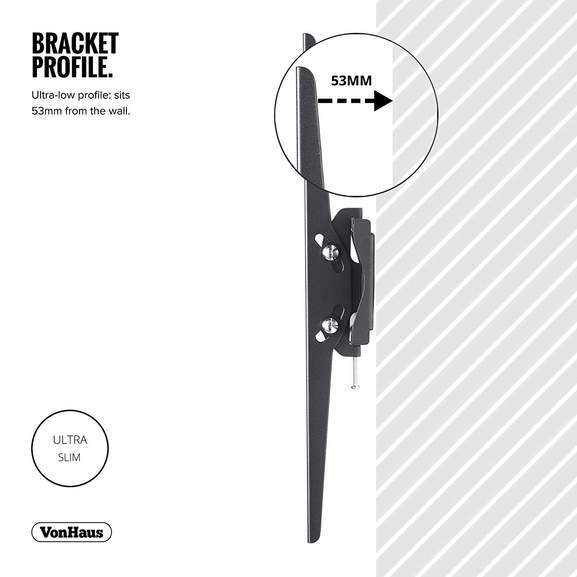 Shows screws on the link ? Bought this last week and it came with a good variety of screw sizes and some spacers. Very pleased with the product. Shows up as £11.95 for me with prime. Offer finished?